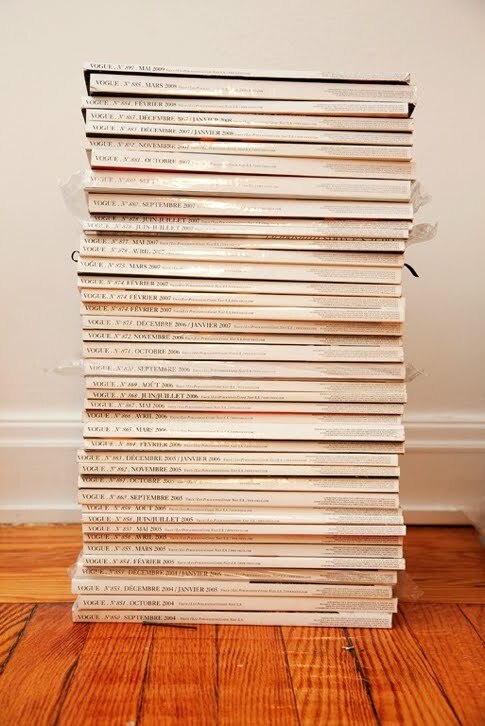 hmmm, you can put them in boxes - each box you can describe Vouge 1/2009-12/2009 (eg.) - they will be safe, without dust and organized. Boxes can be beautiful -for sure you will find boxes which fit your house. Or you can organize magazine on bookshelf - they will be reachable, visible, and also nicely organized. C'est imposible. They belong in piles on the floor. And in piles on the bookshelf. And under the bed.